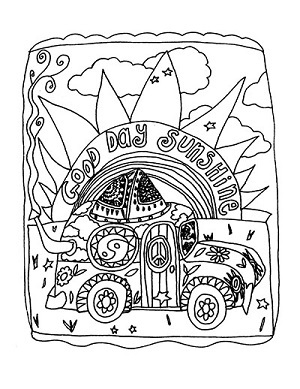 This unique and hand drawn coloring book features 23 pages of psychedelic and kid friendly images for coloring. Created, with love, by the talented Tracy Dove. 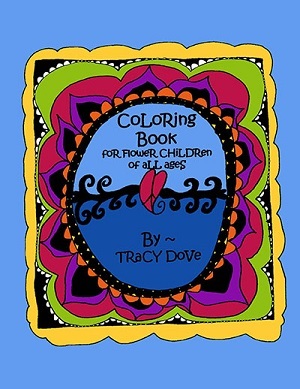 Tracy Dove is a painter of Bohemian Folk Art and creator of Coloring Books for Free Spirits of ALL AGES. She is inspired by the hand drawn and hand written books and art of the 60's and 70's and the beautiful people of the counter cultures. The hippie influence is evident in her art. 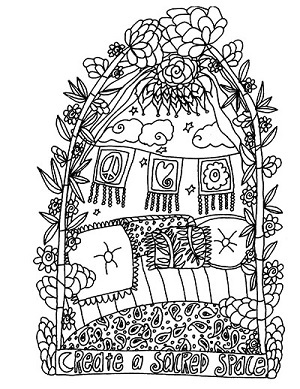 Free and easy designs and ideas fill the pages of her books. She lives in Arizona in the city that rose from the ashes, where she is living happily ever after. Her desire is to touch hearts with reminders of all that is good in life.